Lemonade Phuket Hotel is one of the best 3stars”hotel & residence” in Chalong, Muang Phuket. We are located on Chaofa road(East), on the southern coast of Phuket island. If you are looking for a comfortable relaxing holiday, in a modern and innovatively designed hotel, Warmly decorated rooms come with free Wi-Fi and flat-screen TVs, as well as mini fridges, tea and coffeemakers, and private balconies. Suites provide sitting areas. Breakfast is served in an informal restaurant offering open-air dining. We also an outdoor pool with a terrace and sunloungers, and parking is offered. Lemonade Phuket is the right place for you. We are located near the popular “Soi-Ta-Eaid” (Chaofa6), hub of reputable Muay Thai, MMA, Jujitsu Martial art, and Strength&Fitness Training camps.Many of Phuket’s popular beaches such as Rawai beach,Naiharn beach, Kata beach and Karon beach are nearby too. The amazing sunset view at Promthep cape is also easily accessed from our hotel.If you are looking for a more spiritual holiday, Lemonade Phuket Hotel place you very close to “Wat Chalong” (Luang Por Cham) and to the impressive “Big Buddha” temple, home of “Phra Phutta Ming Mong Kol Akenakiri” or Ming Mongkol Buddha. Chalong Pier, the port of departure of most of the water sports activity in Phuket (Private sailing yacht, Day trip Snorkeling, scuba diving, sightseeing…), is located 10 minute from Lemonade Phuket Hotel. 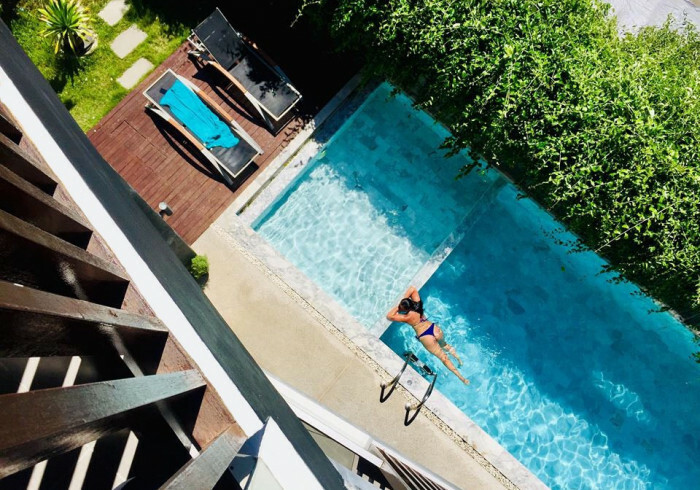 This relaxed hotel is 5 km from both the closest beach on the Andaman Sea and ropes courses at Hanuman World, and 36 km from Phuket International Airport.